In 2008, Liverpool was European Capital of Culture: strange times for my now-home city. But even before I lived here, I already knew Liverpool through its singular culture, and in 2007 Tate Liverpool gave me more glimpses into the city’s otherworld of painting, poetry, performance and music. So first up, here’s a review of the Tate’s Centre of the Creative Universe: Liverpool and the Avant-garde show, followed by my tribute to Adrian Henri, the godfather of the Liverpool scene. I find myself gazing at the names. Adrian Henri, Jeff Nuttall, Ken Campbell. Bill Drummond, Jayne Casey, Stuart Sutcliffe. I think of a dark-skied Liverpool filled with these people’s phosphorescent light; the names evoke chilly bedsits round Falkner Square, paint spattered studios in attics on Gambier Terrace, steamy basement poetry dens and draughty rehearsal rooms with pigeons in the loft. The huge and elaborate mind map that hangs at the entrance to Centre of the Creative Universe at Tate Liverpool weaves a tangled web between all these people and very many more. It hooks in the places where they worked their magic and hints at the mystery of influence: who met who and what did they share? We can’t know, but we can wonder. The mind map is an appropriate place to begin this investigation into the creative currents that have helped shape perceptions of post-war Liverpool. It’s like an Ordnance Survey of creative energies laid over the destruction of the Blitz, and from its graphic carriageways and by-passes we move on to Stewart Bale’s shocking photographs of Liverpool with its teeth knocked out. Gappy and bleeding, it reels from Adolf’s punch. Many struggles were to follow, but suddenly, there was space for imaginations to grow unchecked. Under the encouragement of a few iconoclastic individuals, Liverpool drew in extended families of poets, painters and performers who could support each other’s existence; as the city’s musicians rushed into the spotlight, certain of its artists were not so far behind. The exhibition attempts to pinpoint some of their near-mystical centres of influence: Liverpool College of Art, the docks, the Bluecoat, Eric’s and The Cavern, the Walker. Stepping through the galleries is like visiting these cultural nodes at the time of their greatest influence; it’s like traversing space/time – a short trip away from Edward Chambré-Hardman’s noble city portraits, we find ourselves in a wonderland of free-thinking bohemian Mersey-surrealism. Adrian Henri’s painting The Entry of Christ into Liverpool and its accompanying wall-mounted poem are wild flights of fancy that remain rooted in a Liverpool reality – from the first sight of the Messiah (“red hair, white robe, grey donkey, familiar face”) through to “walking home, empty chip-papers drifting round my feet”. It’s a thread that seems to connect many of the strands that follow; there are creative laboratories and imagined dreams, but so often the works are tinged with a sadness that breaks the heart. Well, you know how memory can play tricks. 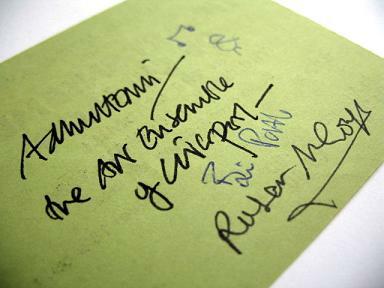 So is Liverpool – or has it ever been – the centre of the creative universe? On the strength of this fascinating exhibition it was certainly the centre of a creative universe. It’s always easier to pan for gold in the stones of history than to find it in the slag heaps of now, and there is plenty here that gives off an authentic glint – particularly from the jewel-box of the 1960s. Whether the biennials and council-backed cultural jamborees of today can engender a comparable sense of thrill in the possibilities of creation is another matter. In years to come, maybe we’ll find out whether our own times seem so vital. Is Liverpool still mapping new connections or just retreading the paths of the past? It’s easy to conclude that we are constructing a far less interesting, establishment-sanctioned age, but organisations like Static and the A Foundation are nuzzling away at boundaries yet unbroken. Their activities are interesting and difficult to categorise, and I hope there are still strange happenings in those Canning Street bedsits. We are currently pouring an awful lot of concrete on top of the leylines that connect Now with Liverpool’s evocative Then: The Everyman to Hope Hall, John Moores University to the College of Art, or even Tate (the gallery) to Tate (& Lyle). But the avant-garde shouldn’t be deterred. In a city of margins, there will always be space for things that shouldn’t exist. But gloriously, somehow, do. 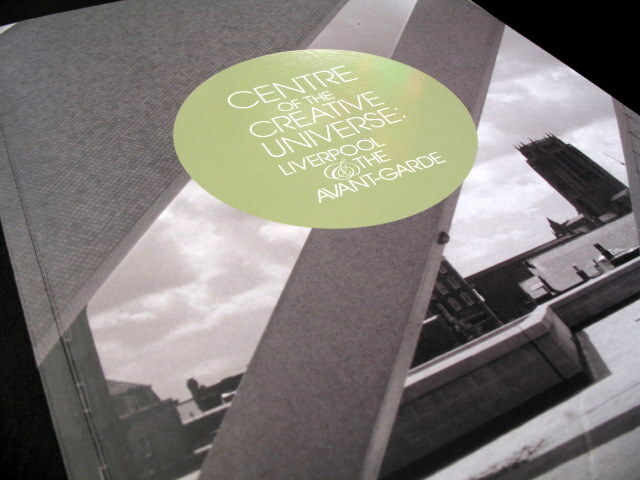 Centre of the Creative Universe: Liverpool and the Avant-garde ran at Tate Liverpool from 20 February 2007 until 9 September 2007. Liverpool was European Capital of Culture throughout 2008. 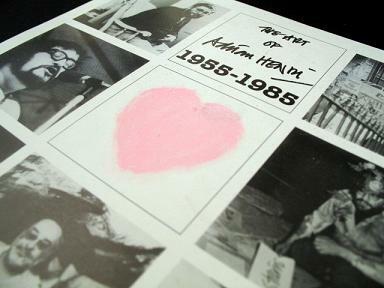 Poet, painter, performer, mentor; for over 40 years, Adrian Henri was at the centre of Liverpool’s creative universe. I read his poems, I looked at his paintings – and then I moved to his city. Here’s my tribute to his inescapable influence. 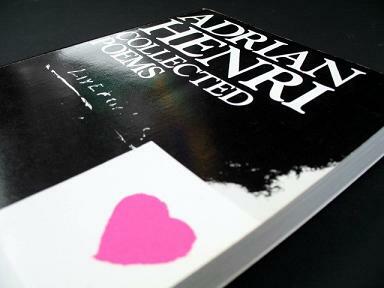 There was an Adrian Henri before Liverpool, but I find difficult to imagine him. Born in Birkenhead, raised in Rhyl, taught in Newcastle; Adrian Henri was a fairground worker and a painter, a lover of jazz and an absorber of influences prior to his arrival in the city in 1957. 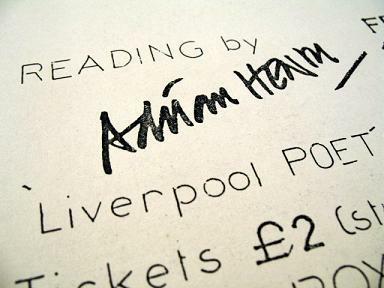 But the Adrian Henri who, a few years later, turned the musical chug of Mersey Beat into a semi-psychedelic urban surrealism, who painted realities and fantasies of Liverpool 8 and who helped blow open the closed doors of British poetry, seemed steeped in the city. With his fellow ‘Liverpool Poets’ – Roger McGough and Brian Patten – Adrian Henri transformed a generation’s perceptions of what could and could not be poetic; after reading The Mersey Sound – still one of the most successful poetry anthologies ever published – hundreds of thousands came to know the sights and sensations of Henri’s Liverpool. Hope Street, Upper Duke Street, Little St Bride Street; Lewis’s, the Kardomah, Yates’s Wine Lodge. His was a romantic attachment to streets and the memories they contained, a landscape to which he added cultural references drawn from his own uninhibited passions. The poet in him was much celebrated (and, it has to be said, well criticised too for perceived self-centred sentiment) but Henri was never one to be stuffed in a pigeon hole. That he loomed large over Tate Liverpool’s 2007 exhibition Centre of the Creative Universe is down to his easy flitting between art forms and his position as gregarious facilitator as much as intense practitioner. Trained as a painter, and as a lover of music, he learned much about performance art from America, and transformed Liverpool poetry readings into multimedia events. He as much as anyone helped turn some artists in Canning Street garrets into a ‘scene’ worthy of the name, connecting music to poetry to painting and ending up with art worth remembering. By the time Henri welcomed the counter-culture’s poet-god Allen Ginsberg to Liverpool in 1965, this scene was flourishing; in recognition of magical nights in the city and the global reach of its music, Ginsberg flattered his hosts with the now famous phrase “Liverpool is at the present moment the centre of the consciousness of the human universe”. Henri was the personification of this consciousness; he mixed genres like paint, even taking his poetry-rock band The Liverpool Scene on the road and into the studio, as well as teaching, exhibiting and reading across the UK and beyond. This free-thinking scene bubbled into the mainstream as The Scaffold hit Top Of The Pops, and many of its participants began to move away, or just move on. But Henri stayed; Liverpool was his muse and his home. Older, quieter, and ready now to paint the countryside as well as the city, he nevertheless encouraged others and remained a fixture on Mount Street, just round the corner from the Everyman Theatre where so many of Liverpool’s experimental urges had found a home. 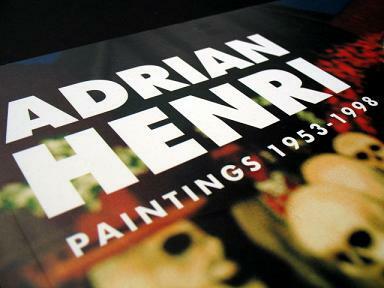 Adrian Henri died in 2000, just a few months after a major retrospective of his painting at The Walker Art Gallery and days after being awarded the Freedom of Liverpool. I’m sure it meant much to him, but it was scarcely necessary; the freedom of Liverpool had been his for years. After all, as ring master and wizard to a crowd of Liverpool visionaries, he was the man who brought Christ into Lime Street.